The song “Let’s Live For Today” has an unusual history. It was written by David Shapiro and Ivan Mogul in 1966 for the Italian market. It had Italian lyrics and the Italian title of “Piangi Con Me” (“Cry with Me”). At the time he wrote it, David Shapiro was a member of British band The Rokes who had relocated to Italy. They released “Piangi Con Me” on RCA Italiana and it became their biggest Italian hit to date. The record found its way to ABC Dunhill President Jay Lasker, who was one of the U.S.A.’s huge record moguls at the time. Lasker thought it would be a good song for his band The Grass Roots. 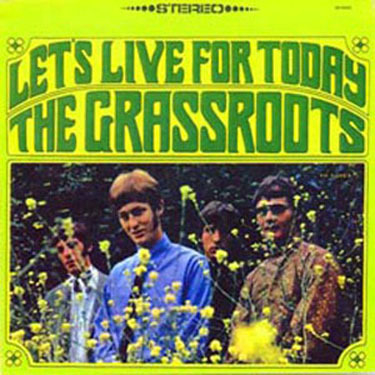 “Let’s Live for Today” was recorded by The Grass Roots, with the help of a number of studio musicians, including Sloan on lead guitar, and was released as a single in May 1967. 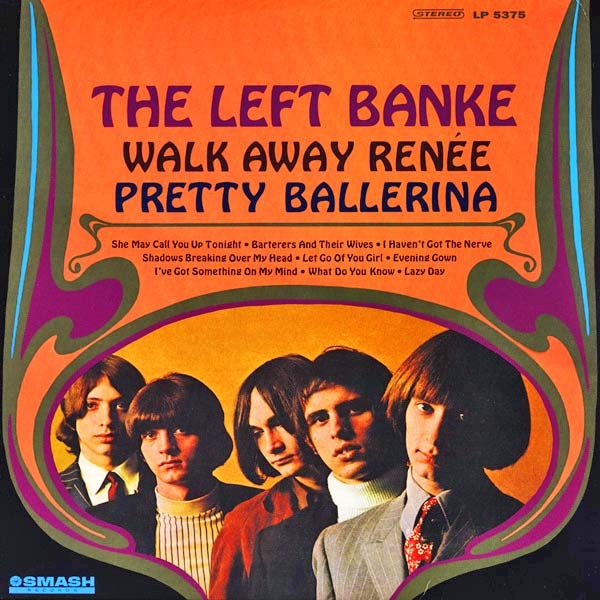 The lead vocal on The Grass Roots’ recording was sung by the band’s bassist Rob Grill, while the iconic “1-2-3-4” count-off to the hook was intoned by guitarist Warren Entner. The record went to #8 on the Billboard Hot 100, sold more than two million copies and was awarded an RIAA Gold Record. “Let’s Live for Today” was particularly popular with young American men serving in Vietnam. The song struck a chord with men who were serving in combat, with the lyrics reminiscent of letters home, phrases from last dates, and loving thoughts directed at deeply missed wives or girlfriends. 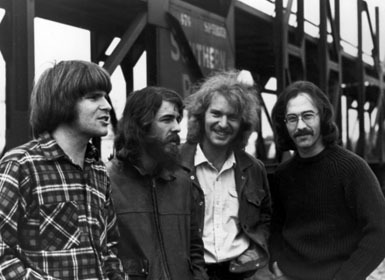 Over the years there have been over 45 members of the band. As best as we can tell, the members of the Grass Roots in 1967 were: Denny Ellis (rhythm guitar, vocals), Willie Fulton (lead guitar, vocals), David Stensen (bass, vocals), Rob Grill (lead vocals, bass, songwriter). I’ll be your lovin’ man. Have pleasure while we can. The Pass the Paisley Groove Pad is a resting stop, a place to chill out and listen to the featured song on the stereo. If the mood strikes you, click on the juke box to access and listen to the 50+ free online songs there. The TV has several channels, with selections updated twice a week. Every now and then, Pass the Paisley hosts an all-request of 1960s and 1970s songs for a Be-In at the juke box in the Groove Pad. Keep on truckin’. Hope you enjoyed “Let’s Live for Today” by The Grass Roots.